Rosettes, Buttons, Blocks & Misc. 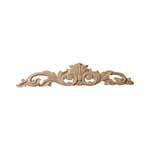 Embossed carvings (appliques or onlays) or Hand Carved Wooden Brackets, Corbels, Columns, Capitals, Scrolls, Rosettes, Swags, Finials, etc. in a variety of wood species. Suitable for Stain or Paint. Close-Out. Suitable for Stain or Paint. Over 40 designs to choose from in Lindenwood, Alder, Maple, Cherry & more. 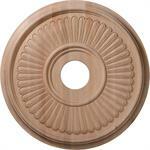 4d Wood Ceiling Medallions. Available in Cherry, Maple, and Red Oak. 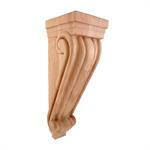 Over 10 designs to choose from in Lindenwood, Alder, Maple, Cherry & more. Over 300 designs to choose from in Lindenwood, Alder, Maple, Cherry & more. 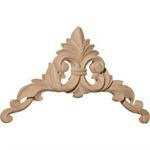 Over 30 designs to choose from in Lindenwood, Alder, Maple, Cherry & more. 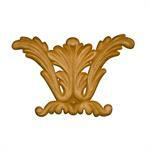 Wooden Decorative Hand Carved Finials available in 8 wood species. 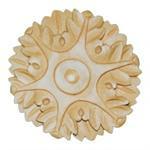 Over 60 designs to choose from in Lindenwood, Alder, Maple, Cherry & more. 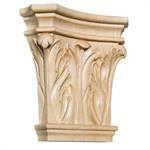 Over 100 designs to choose from in Lindenwood, Alder, Maple, Cherry & more.